Welcome, and thank you for your interest in our club. Santa Fe Tennis & Swim Club provides a unique tennis and swimming experience in a beautiful, backyard-like environment. Visitors often comment on the sweeping views of the Sun and Moon Mountains, which overlook the outdoor tennis courts. 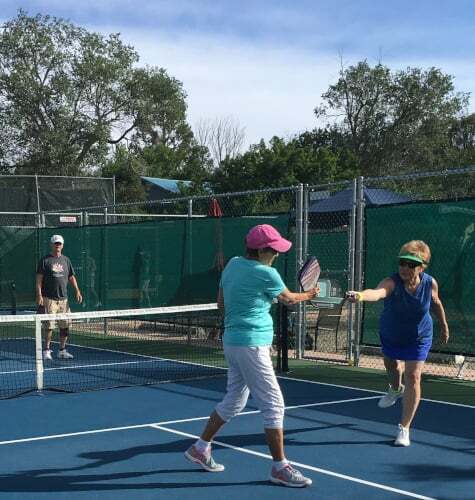 This relaxed atmosphere provides the perfect venue for families and tennis enthusiasts to play hard on the courts, relax at the pool, meet new faces, and strengthen ties with old friends. Furthermore, our intimate neighborhood setting and limited membership level allow us to offer the attentive, personalized customer service our members have come to expect. 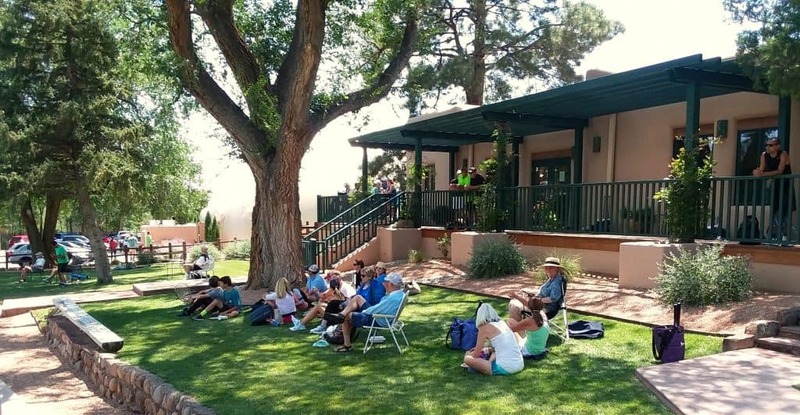 Whether you are a tourist, a visitor, club member, or potential new member, we hope you enjoy your experience at the Santa Fe Tennis & Swim Club. Tucked away in the Museum Hill neighborhood off of Camino Corrales in the Historic Eastside, we are a short, 10 minute drive from the Santa Fe Downtown Plaza and 5 minutes from the I-25 Old Pecos Trail Exit. 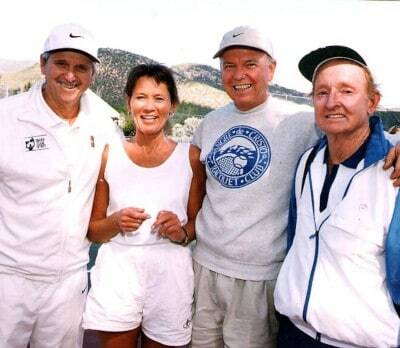 Our historic location has attracted some of the world’s best players, including Roy Emerson, who came for charity tournaments and hosted clinics, and Rod Laver, who visited in May 2003 (both are pictured top right). 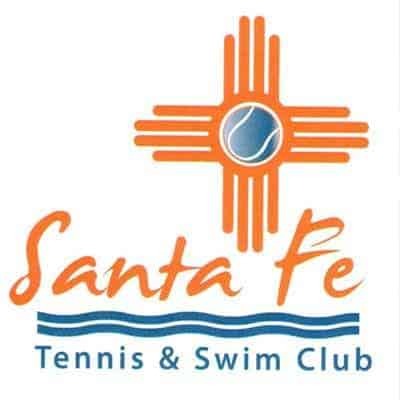 The Santa Fe Tennis & Swim Club facility was Santa Fe’s first tennis club, founded in 1967 under it’s original name of Sangre de Cristo Racquet Club by the late Dr. Robert Mechem. 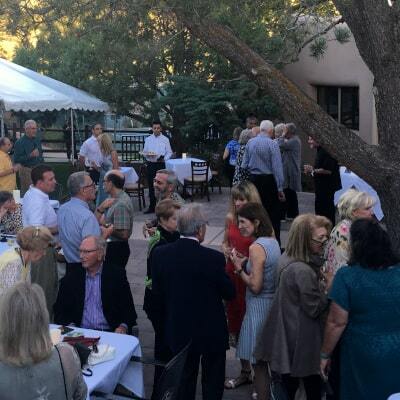 In 2014, the club was acquired by it’s current owner, David B. Garcia, a veteran and former pharmaceutical scientist, and rebranded as Santa Fe Tennis & Swim Club. The facilities immediately underwent a complete renovation. Improvements in particular were made to the clubhouse, the original structure of which is nearly 100 years old. The remodel was completed in mid-2016.